Home Video Watch: This Guy Pulls Off One Of The Greatest Pro Shop Chip Ins Ever! Watch: This Guy Pulls Off One Of The Greatest Pro Shop Chip Ins Ever! Absolutely loved this! 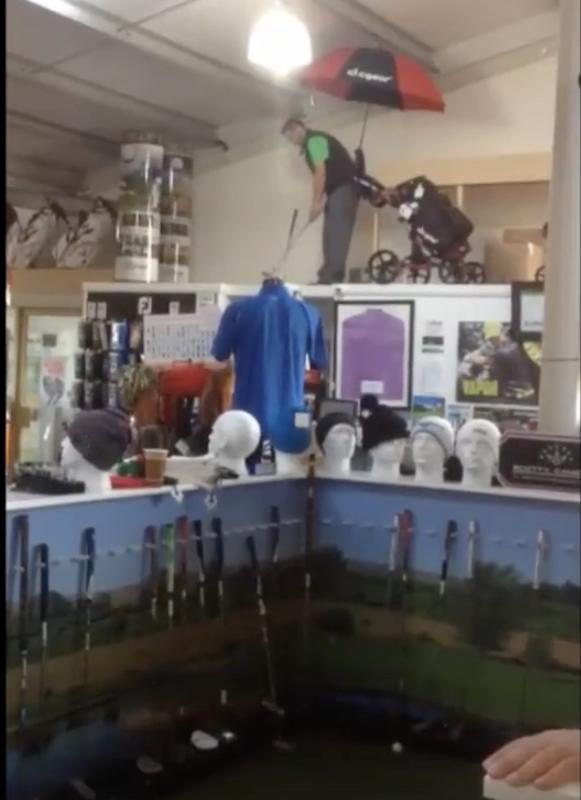 Since I started the search for pro shop trick shots on facebook there have been some classics and this chip in from Darren Mullan at Total Golf store in Foyle Driving Range Derry deserves its place among them. Just look at where the tee box is!! Definitely a contender for the greatest Pro Shop chip in ever! From Darren Mullan at Total Golf store in Foyle Driving Range Derry. Tekkers!